GCC Paper Grade Calcium Carbonate is one of the essential ingredient taken into use in the paper industry. It is used as fillers and for coating purpose in the industry. The working qualities of CaCO3 like opacity, brightness, and smoothness make it an ideal component for the manufacturing of writing, printing and packaging grade paper. It is a mineral filler which substantially reduces the production cost of paper production. As the minerals are easier to get dried than fibers it also reduces the cost of basic materials. CaCO3 is also used in paper coating as it brings brightness and smoothness on the surface of printing paper. Multi Minerals Micronised Calcite is distinguished by it extremely high whiteness, purity and free flowing nature. It is widely used as filler due to its high dispersibility, low oil absorption, high impact resistance, smooth surface finish, easy processing, compatibility with polymers, other organic additives and excellent dimensional stability. We offer Paper Grade Calcium Carbonate Powder with varied packing options at feasible prices. 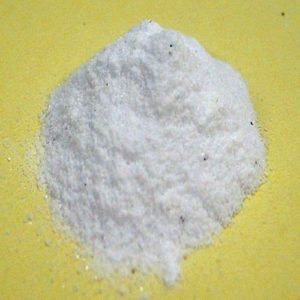 This powder is processed under the visionary guidance of qualified professionals by utilizing the excellent quality raw material with the help of pioneering technology. To serve the requisite demands of our clients, we are engaged in offering a qualitative range of GCC Paper Grade Calcium Carbonate. Rajasthan Super Fillers Private Limited, Rajasthan, India becomes an affluent manufacturer, exporter and supplier of GCC Paper Grade Calcium Carbonate in Udaipur, Rajasthan, India. We are providing a premium quality range of GCC Paper Grade Calcium Carbonate. We graded GCC Paper Grade Calcium Carbonate by quality. We reblend the products according to specification, bagged and marked.